Searching for someone to run your social media efforts can be both an eye-opening and frustrating experience. It might seem that, of the applicants who can boast any goal or metric from their job, the one thing they point to doing is "driving engagement." While engagement metrics can be tied back to a business' bottom line, more often than not, social media marketers aren't moving the metrics CEOs care about. Years after the very first "Can we measure the ROI of social media?" blog post, the role of the social media community manager hasn't evolved much in the ways of goal-oriented, metrics-driven marketing. 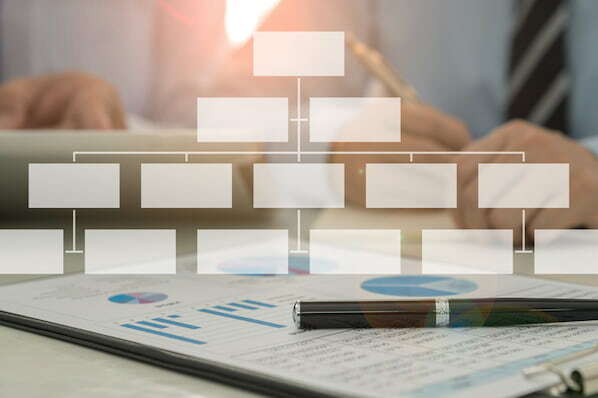 It's possible this is because many companies haven't figured out the right way to measure the ROI of their efforts, so they don't know to hire someone who can help them drive real business results. 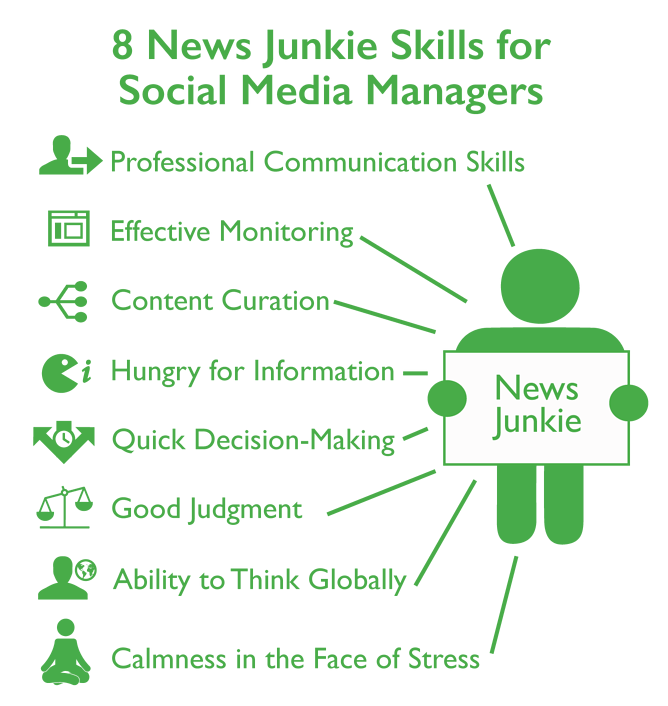 Download a ready-made job description for the social media manager role here. It becomes a vicious cycle. With little focus on the bottom line efforts from social media, companies relegate the social media role to people without much experience proving bottom-line results, and then once hired, those social media specialists don't have experience proving those bottom-line efforts. But someone's got to break out of the cycle. Whether you're a social media job seeker looking for your next gig or a manager trying to hire your next social media manager, keep on reading. This post will show you how to become a social media manager. Content is a key component in any marketing function, and social media is no exception. Even if you have dedicated bloggers, ebook writers, and designers, that content still needs to be adapted to each social network. 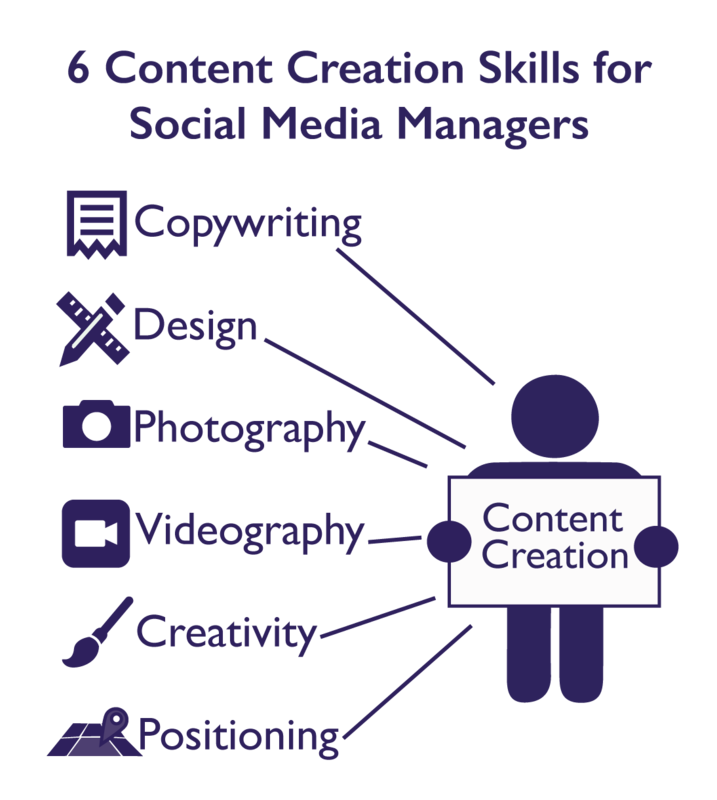 A good portion of a social media community manager's role is creating and adapting content for each specific network. This includes positioning content in under 140 characters for Twitter, creating images and graphics to accompany Facebook and Twitter posts, taking and curating photos and videos for visual platforms like Instagram, Vine, and Periscope, coming up with several iterations of post copy (since the lifespan of a social media post is so short), and even creating content from scratch specifically for growing a following on social media. 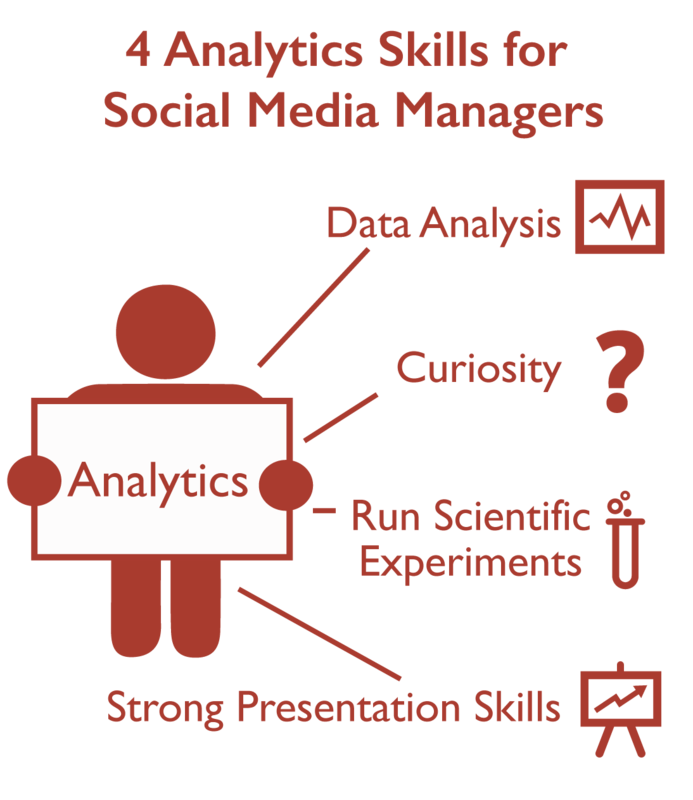 As all marketing roles become more and more data-driven, a social media community manager needs to be able to dig into the data, analyze that data, and draw actionable insights. That includes macro data (like overall reach, leads generated, leads nurtured, customer cases supported) all the way down to micro data (like individual experiments around content positioning). This person should also know the pulse of the community and be able to set goals that are just out of reach -- and find a way to hit them. 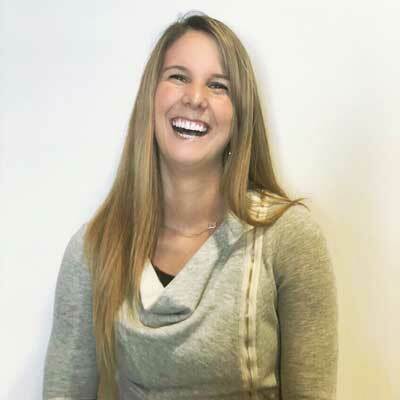 A successful social media community manager enjoys looking at data and knows how to use it to make informed decisions. At the same time, this person shouldn't be so stuck in the data that it prevents experimentation and risk-taking. It's important for a social media community manager to constantly test new strategies, new content, and new campaigns. This means both running tests (such as post frequency tests) and analyzing the results to constantly iterate and improve their marketing efforts. Being on social media is like being in a crowded room at a networking event -- and a social media community manager needs to be in the thick of it. A successful social media community manager will be able to find new opportunities for the company by keeping a pulse on the industry. They need to know where to look for the news and what people are saying about it. They also need to know what's changing on social networks and in the industry -- and be able to react and respond accordingly. They should be skilled at "tactful newsjacking," meaning the ability to (tactfully) capitalize on a news story, (think Oreo's Super Bowl tweet), trend, or hashtag. And if something goes awry, they need to be able to mitigate the issue calmly and diplomatically. Furthermore, the social media community manager can act as an extension of the PR team, connecting your team directly with journalists and reporters, which can result in increased coverage for the company. Finally, social media is a global endeavor -- so for global brands, it's important for the social media community manager to be able to think outside their own region. When someone runs social media, they are the voice of the company to many audiences, including customers, potential customers, journalists, and fans. They'll constantly get questions and comments about their company's products, services, and content -- which may not always be positive. 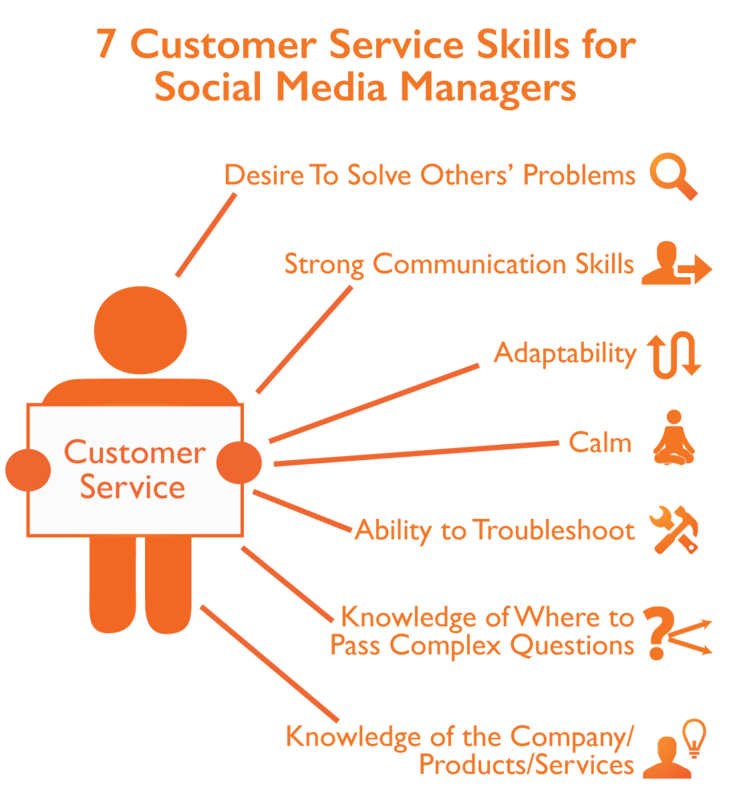 The social media community manager needs to be able to communicate with people in different buying stages (for example, customers and non-customers) and different dispositions. They're the "traffic director," and need to be able to understand where their followers' question or comment is coming from, address it appropriately, and provide a course of action for resolution. 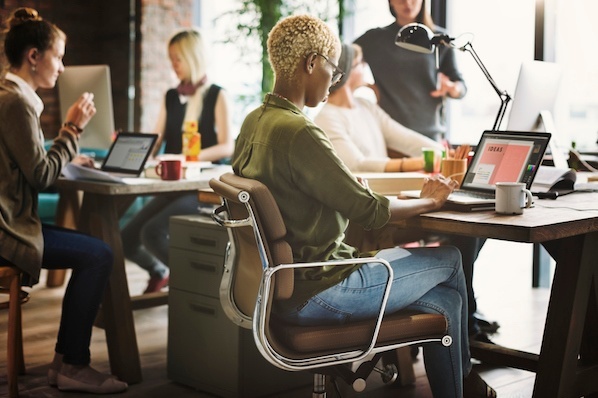 In order to do that, they must be intimately familiar with their company's brand, products, and services so they can do quick, surface-level troubleshooting. Part of building a following on social media is helping that following connect with each other and become a community. True communities don't simply engage with the company or moderator; they engage with each other -- which actually scales the social media community much better, too. But community management takes work, including asking questions to seed discussions and kicking out people who spam or otherwise detract from the community. Part of being a good facilitator is asking good, relevant, and thought-provoking questions in an engaging way. Another part is setting the tone for the community, being present, enforcing community guidelines, and sometimes even removing members or deleting posts when appropriate. If your followers like your community, they'll recommend it to others -- either on purpose or inadvertently by commenting and having it show up on their timeline. This leads to more exposure, which leads to more reach. Social media is a powerful tool that can help the whole funnel, not just the top. It expands the reach of your content, attracts visitors to your website, generates leads, and nurtures them to become customers. That means a social media community manager needs to be able to pick and share content in a way that will accomplish each of those goals. They need to share content that generate leads, and run new campaigns to find the best ways to do lead generation via social media. A social media community manager also needs to engage one-on-one with potential customers who are considering their company's product or service, or simply need their help. Social media is particularly effective as a lead nurturing tool because prospects use multiple media (not just email) to consume information and social channels allow you to engage in a more timely manner. 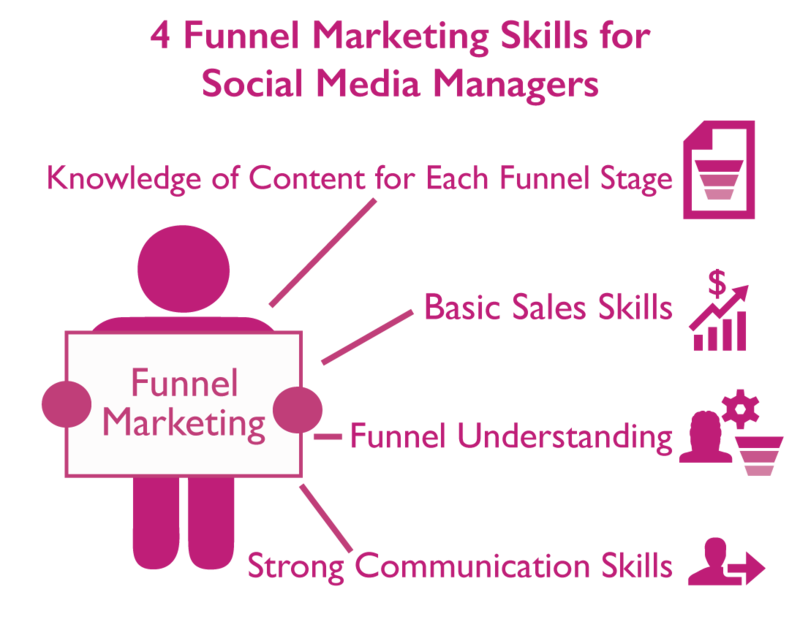 In order to do all of this effectively, social media community managers need to have a strong understanding of the sales and marketing funnel, which leads to monitor and nurture, and what content to use in getting those leads to the next stage in the process. They'll also need to pass appropriate leads off to the sales team and keep sales reps informed when there's something they should know. 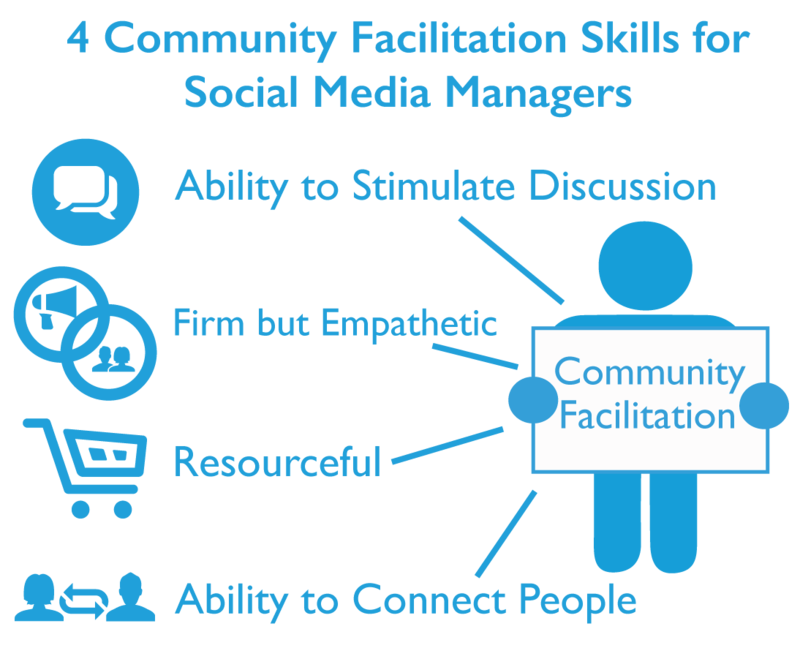 Effective social media community managers are seemingly everywhere and in communication with everyone. Sharing conversion-oriented content on social media can attract more visitors to your site and convert them into leads for your sales team. More than 50% of businesses report they've acquired a customer from Facebook, more than 40% have acquired a customer from LinkedIn, and more than 35% have acquired a customer from Twitter. With the right person at the helm of your company's social media accounts, you could be one of them. Many people across a company may want certain things posted, responded to, favorited or Liked, and so on -- and it's up to the social media community manager to decide which requests to honor, and when to honor them. This means they need to be highly organized and able to manage multiple simultaneous (and possibly conflicting) requests. They need to be able to quickly assess whether a request would resonate with the company's followers, or whether it's too niche or too narrow. (For example, a location-specific post might be too narrow to send to a company's entire Twitter following.) Social media community managers also need to effectively coordinate with different departments to organize campaign launches, while pushing launches and growth initiatives of their own. Social media plays a big role in promoting initiatives from different departments and teams across a company. When a social media community manager effectively balances these promotions with other engaging and relevant content, they'll be able to win the hearts and minds of their followers and internal stakeholders. With this diverse and highly visible role, it's hard to believe that the social media community manager position still has the reputation as an entry-level role anyone can just "pick up." These seven roles should be in the back of any hiring manager's mind as they interview to fill their social media community manager position. 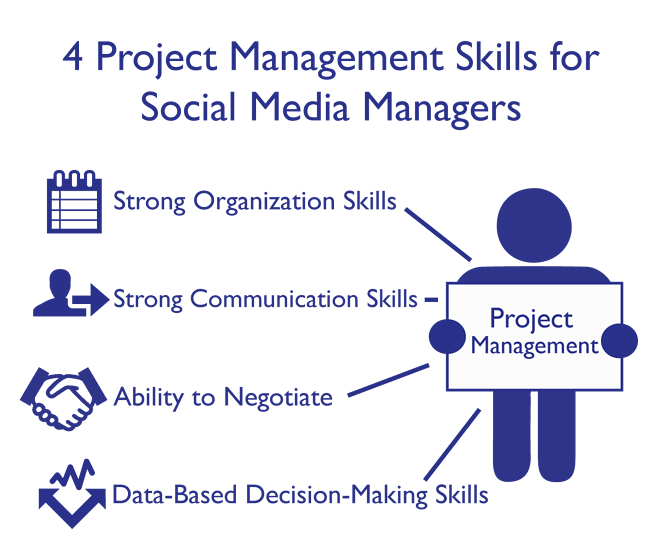 I believe that if we can change the perception of the social media community manager role and attract and hire for these functions and skills, we'll have a good chance of mastering the ability to measure and value the ROI of social media. Want to learn more about working in Marketing? Check out Building a Marketing Team? Here Are 5 Essential Positions You Should Fill.